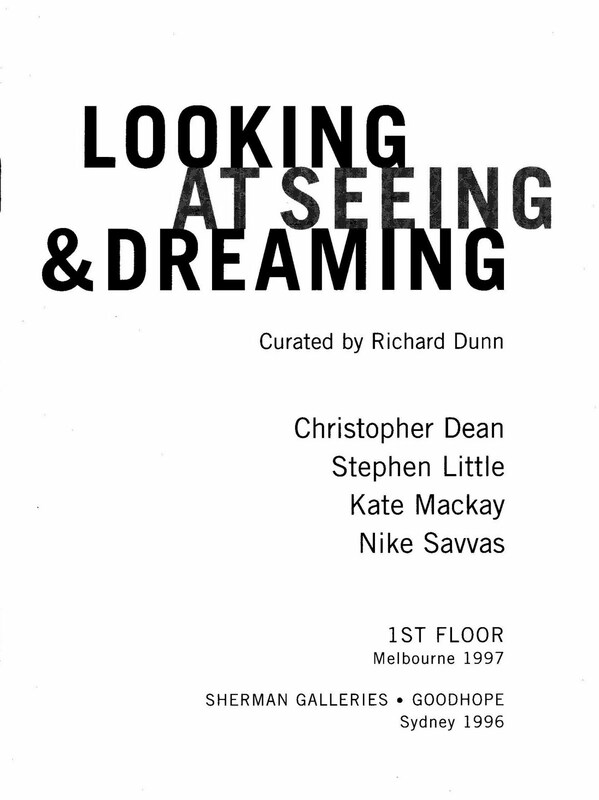 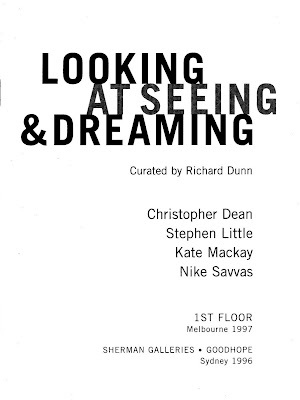 'Looking at Seeing & Dreaming' was an exhibition curated by Richard Dunn involving myself, Christopher Dean, Stephen Little and Nike Savvas. It was also shown the following year at 'Ist Floor' in Melbourne. 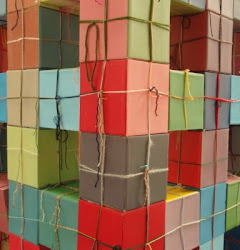 I exhibited 3 of my 'Same Paintings' - Orange, Green and Purple, as well as a set of 12 cast paintings. 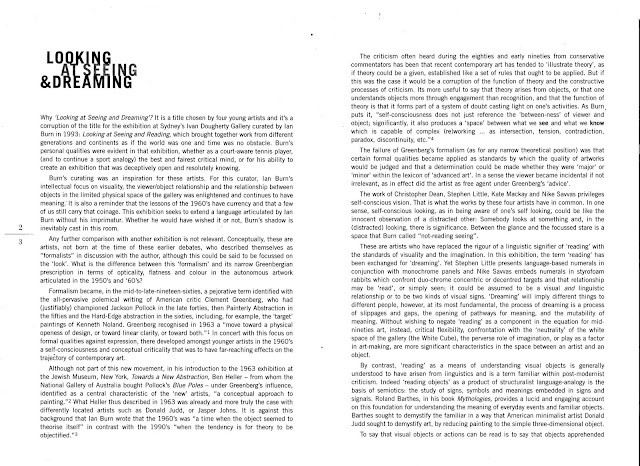 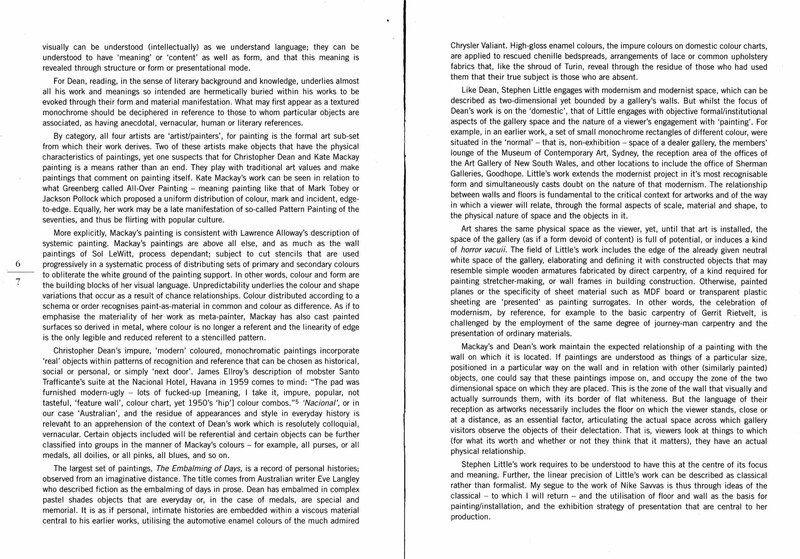 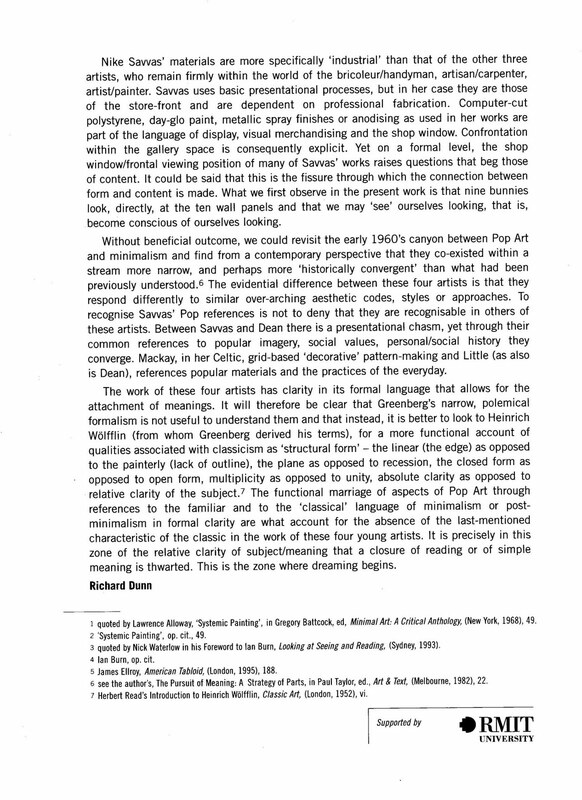 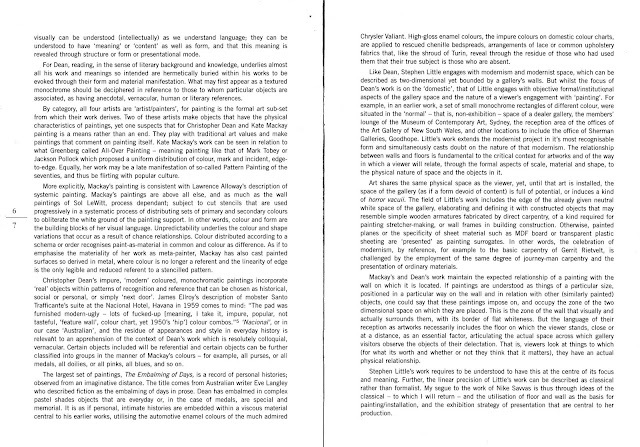 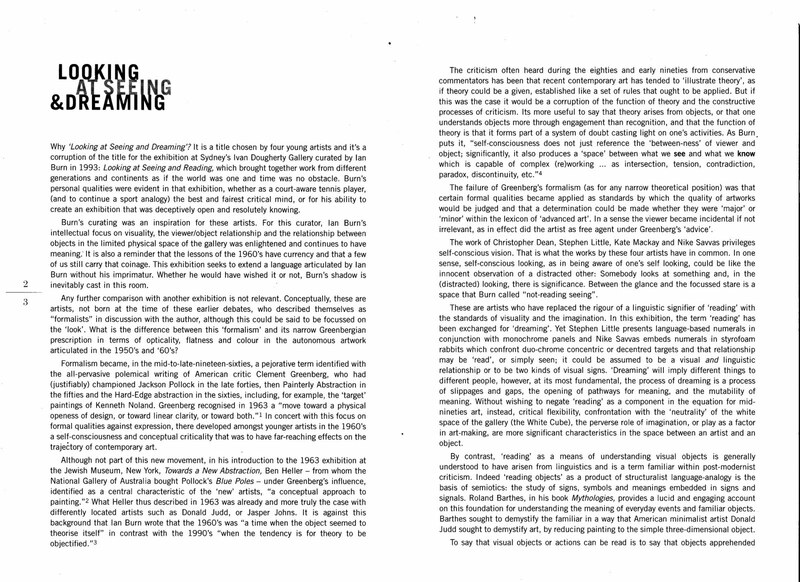 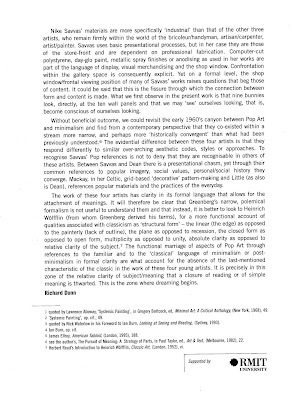 The catalogue with essay that Richard wrote is reproduced below. 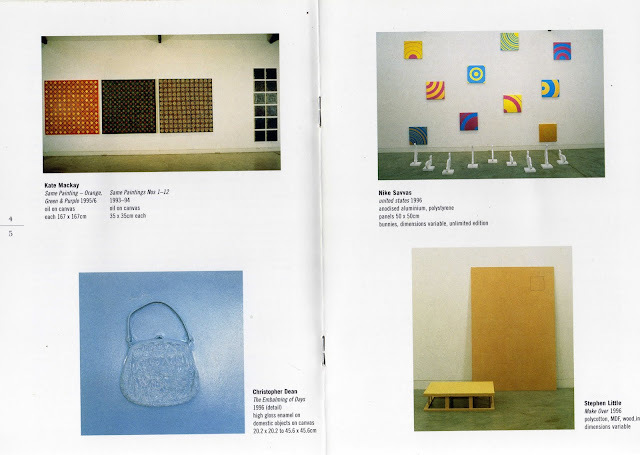 We also got a mention in the SMH!